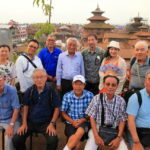 The NepalPatanOfPLE chowk (Pulchowk)Japan restaurant located in the district "Hearthstone restaurant DanRan"In the、Nepal last day on the eve of the last dinner to enjoy! 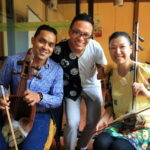 This is、The Japanese ownerNaito Sumiko (Junko Naito)Just with your love, Nepal、2003Since being opened in April、Become a popular oasis for the Japanese living in Nepal but also loved by locals Nepal! 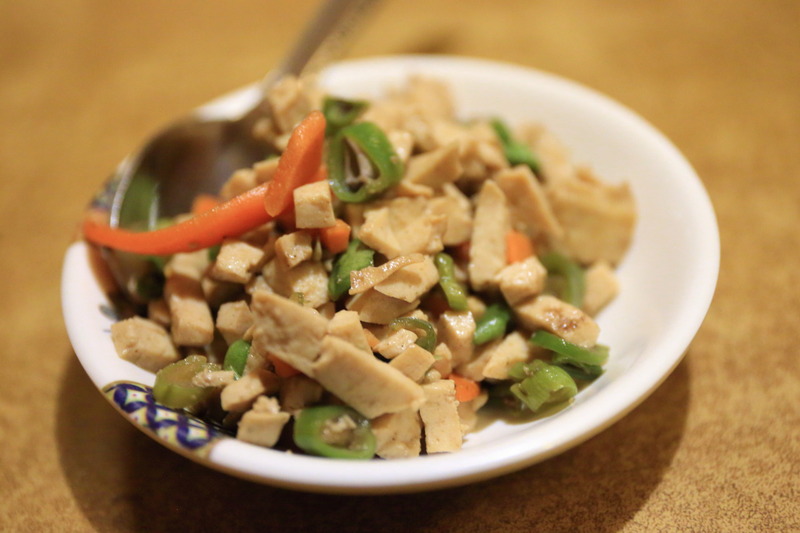 On this day、Nepal's last supper decided Japan food、Helped me 'Pension assert (Pension Suzt)"The Japanese ownerQin (Hata)And it was recommended from! 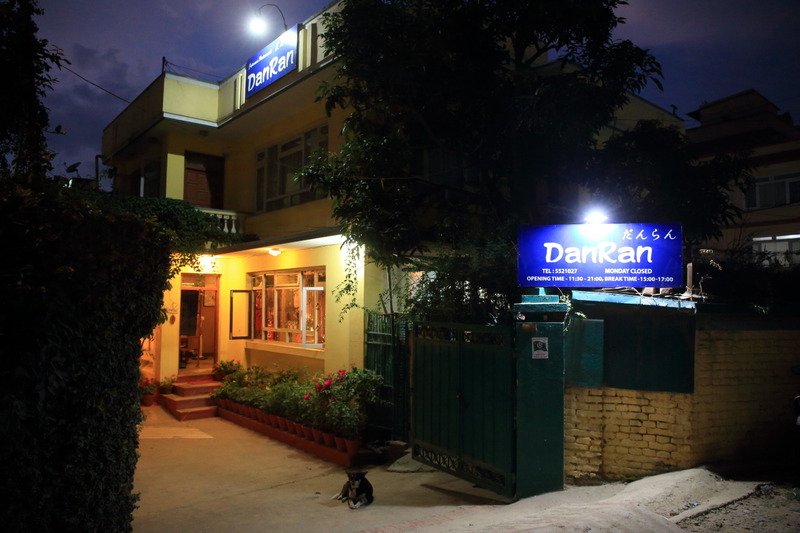 Japan restaurant "Hearthstone restaurant DanRan"The、Pension assert than it would within 10 minutes! 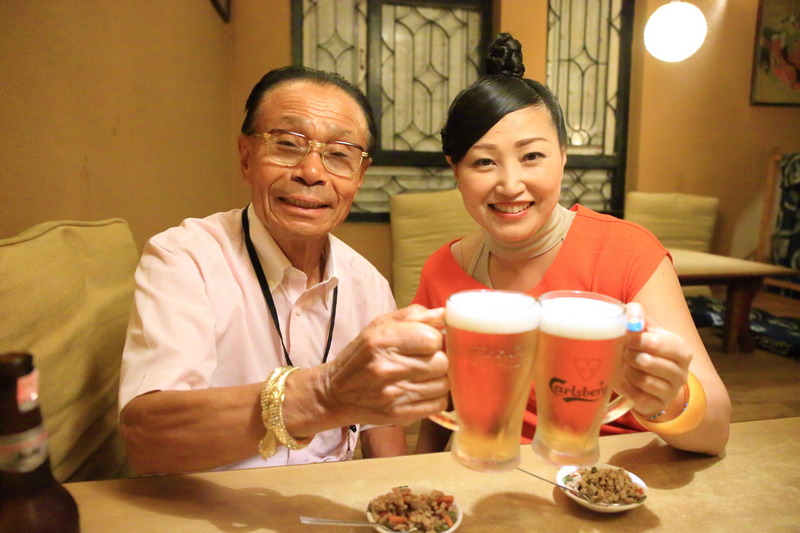 At that time、Naito (Naito)Is going to open a restaurant and his wife、In the long history of Nepal living in seniorQin (Hata)And it is that was very indebted! 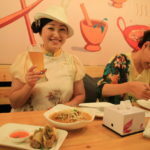 The Japanese ownerNaito (Naito)And he and his wife are、In the kitchen in the apartment had lived in the State of the food and beverage experience zero "Japan food for lunch"Even to start small by making and delivering、Some customer testimonials encouraging offices shops、"Speaking of Japan restaurant in Nepal Dara! "And has been thriving ago the so called! 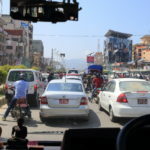 Even now after 14 years、Taste of home cooking in Japan to tell the、Nepal who staff daily struggle with is that it is! 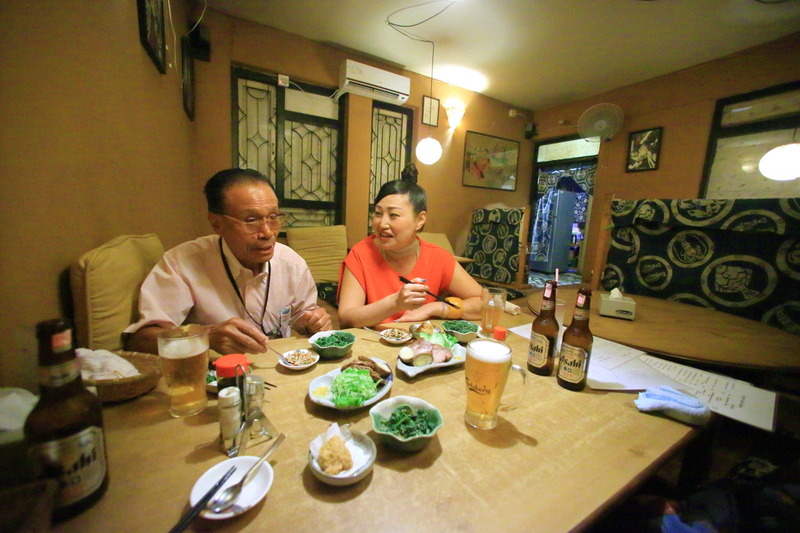 For dinner on this day was a free、Tour members of the oldest 81 years oldSugiyama Noboru (Nbru Sugiyama).、Thank you was during the tour and was treated!SugiyamaAnd it is religiously and even one day and had drunk beer was delicious even to this day entertained! I、Since alcohol was a technical knockout、"Nepal herbal tea" 140 rupees (Yen Japan about 150 yen)Order! Click hereDanranNow、As well as Japan's beer! 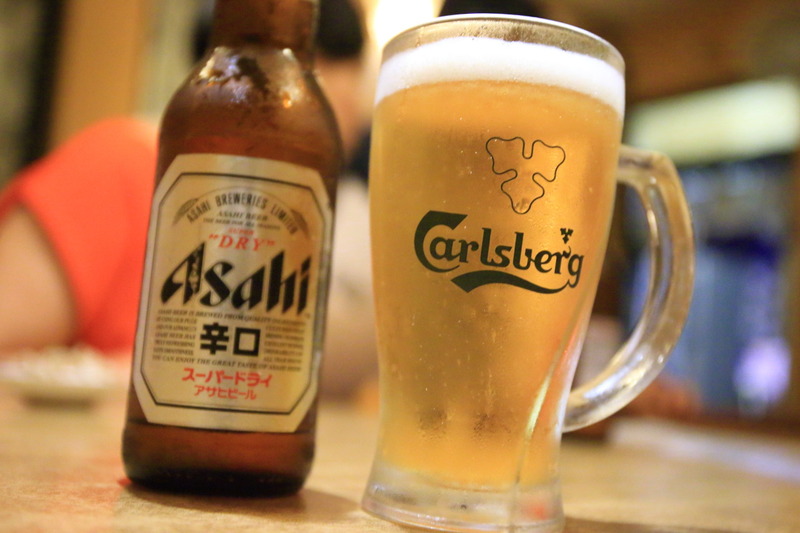 I was happy for men and beer in Japan is very delicious! 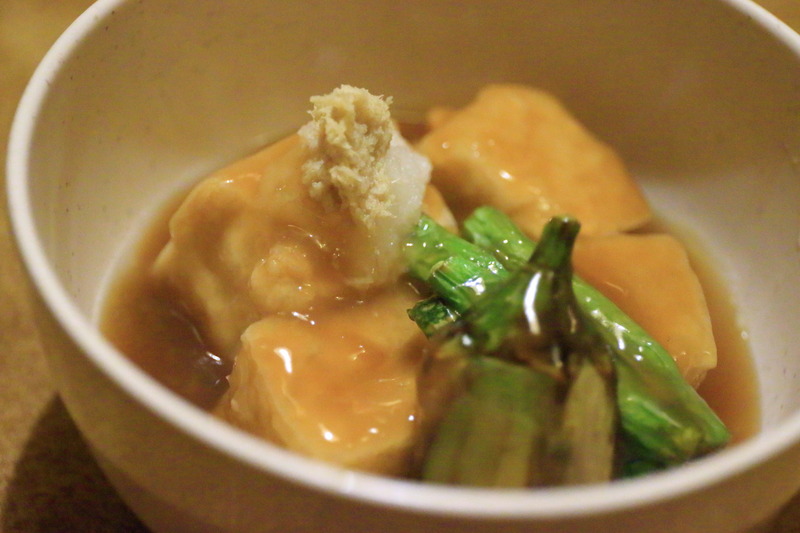 Show "Boiled tofu with vegetables"Strangely happy simmered in soy sauce-based、Very firm and crunchy tofu will oozes taste! Show "Deep fried vegetables"Rumbling up and fried potatoes and carrots were cut to size the dish! 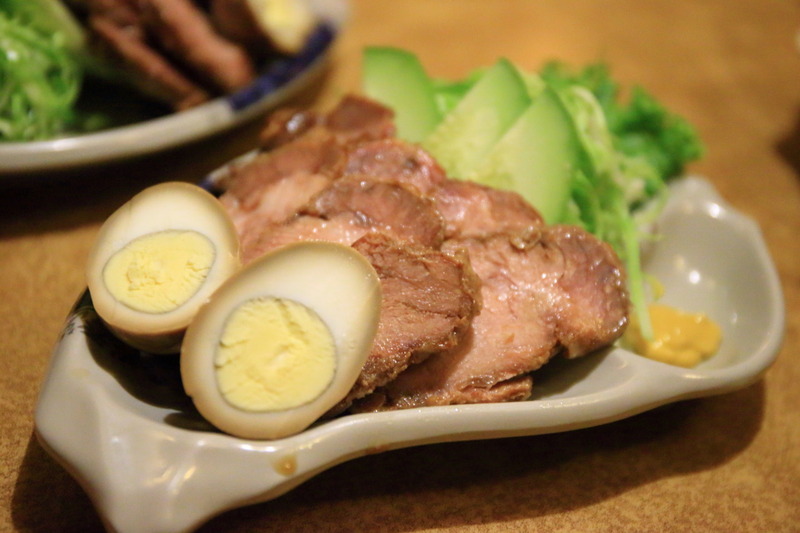 Is's and insulate the taste of barbecued pork filling、With the boiled egg! 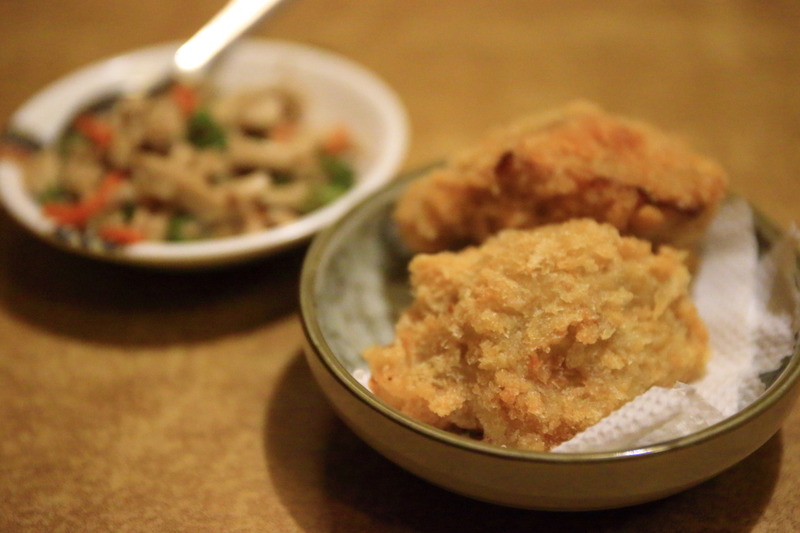 The dish most Miss Japan felt here with Sesame! 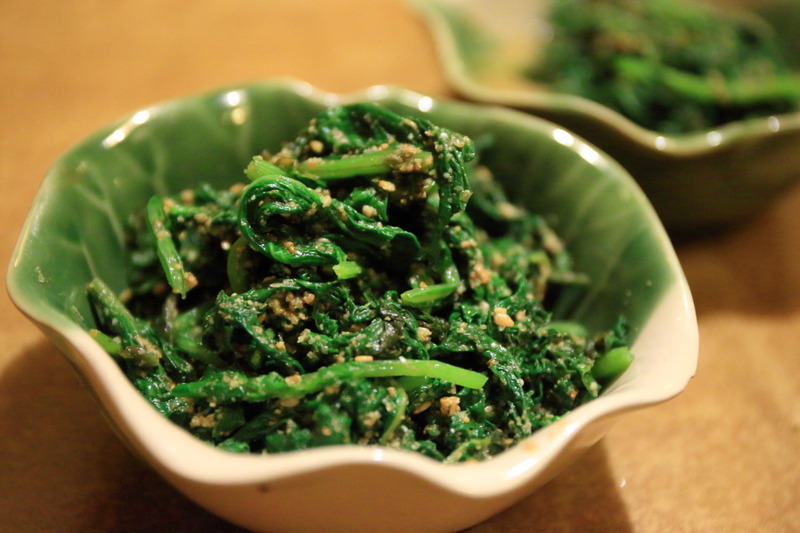 Scent of fresh spinach and Sesame flavor is dying, it is delicious! 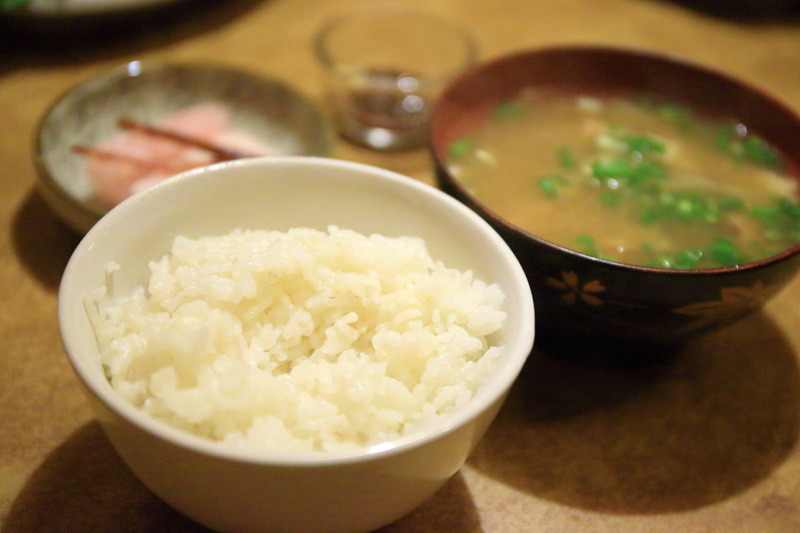 Agedashi tofu put the relish of grated ginger、It's exactly what Japanese staple! Sweet bean paste is thick and 絡marimasu! "The finish is a good ramen! 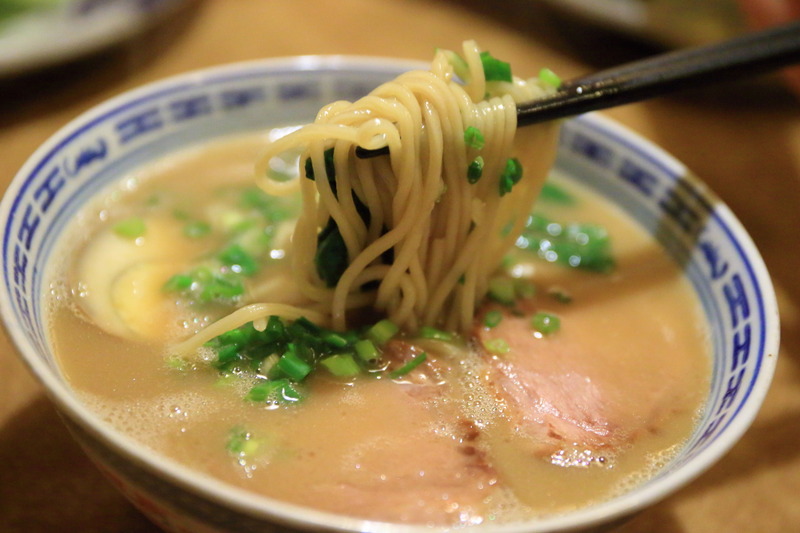 "And my husband ordered the、I have been willing to Ramen in Japan for a long time! "Do you have pickled? 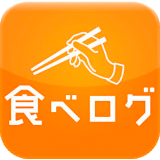 "And I've heard、"Plum for queue there if Japanese apricot" with so、Thank for apricot、Rice and miso soup to taste、Almost gone stiff is a great dinner! 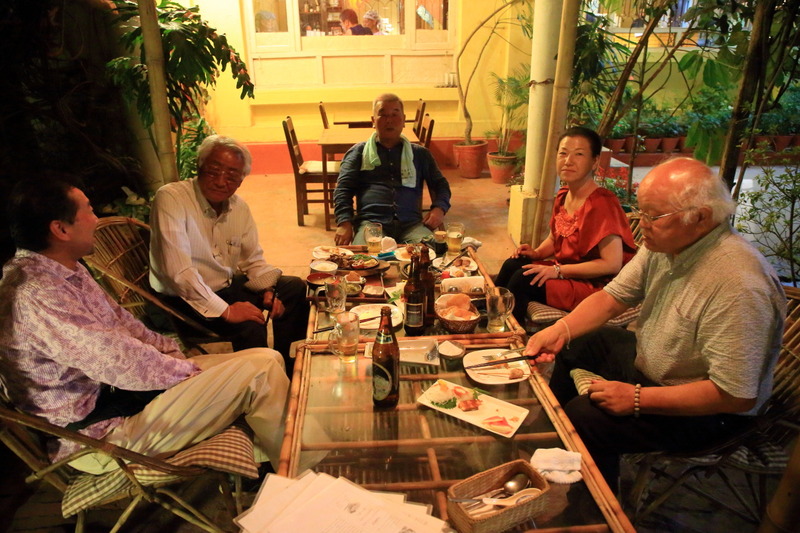 On the splendid terrace"Beef steak" 700 rupees (Japan Yen JPY 750)And you had it made the beer tour members! Until the last minute of fun、Really thanks to you! Thank you very much!